For those of you who need some updating or information on the cheer industry, here is a quick guide. Most school cheerleaders are chosen through a try-out process in early Spring for the following school year. Cheerleaders are usually judged on tumbling, jumps, and dance by outside judges. Many school programs may have other requirements such as teacher and administrator recommendations or evaluations, grade checks, and/or an interview process. Some school programs have competitive squads, as well. Their routines are structured differently than all-star cheer squads. College cheerleaders must also go through a try-out process in the spring before the year they will be attending school. Many colleges require you to be accepted to their institution before you are able to tryout. Organized through local pee-wee football organizations, or youth sports programs. Their main focus is to introduce cheer as a crowd-leading activity. Some teams also compete at competitions in the youth/recreational division. In the past 10 years all-star cheerleading has evolved into an enormous industry. Equivalent to the “club” sports teams, the purpose of all-star cheer teams is solely competitive, and actual “cheering” is not involved. Athletes train for 5 to 6 months, and the competition season is anywhere from 5 to 8 months depending on the level of the team. Teams attend competitions and are judged as a group on stunting, tumbling, jumps, dance, and overall routine. All-star prep teams were created to provide athletes to be introduced to and experience all-star cheer with limited commitment and exposure. The program includes a shorter season, limited weekly practice, a lower financial commitment, limited travel, and a uniform that differs from the traditional all-star program. 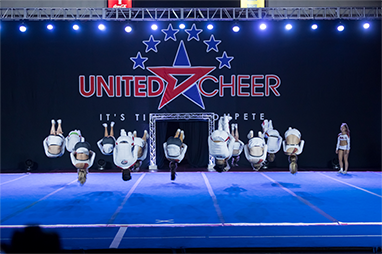 Teams concentrate on fundamentals and technique, and are also an alternative way for athletes to stay involved if they cannot commit to the time all-star cheer requires.